Video St Clement Danes Final Assembly. School closing assembly of a whole school wonderful project! 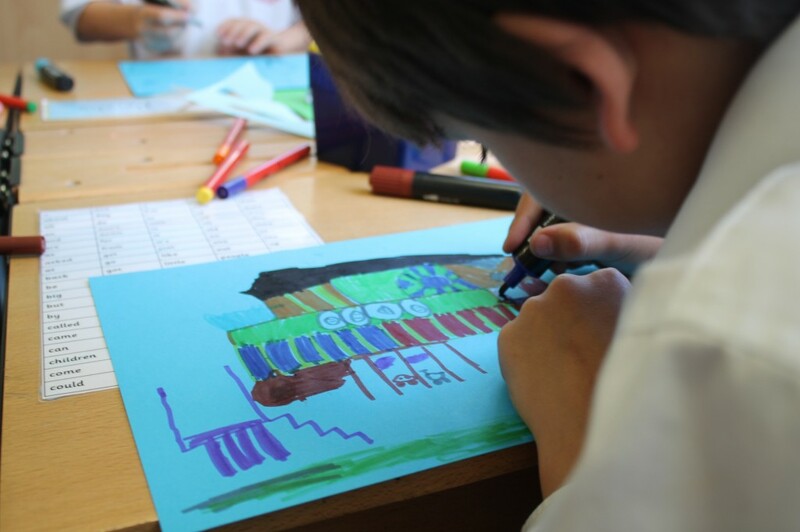 St. Clements Danes Primary School, in Drury Lane, opted to have every class year, from year 1 to Year 6 inclusive, participate in Little Architect workshops. As such, we were afforded the unique opportunity to present our work and ourselves to the entire school, in a tailor made assembly presentation. We showed all the varied work, which we would be doing throughout the different years of the school, and also introduced them to some of the main concepts which drives our work with students. 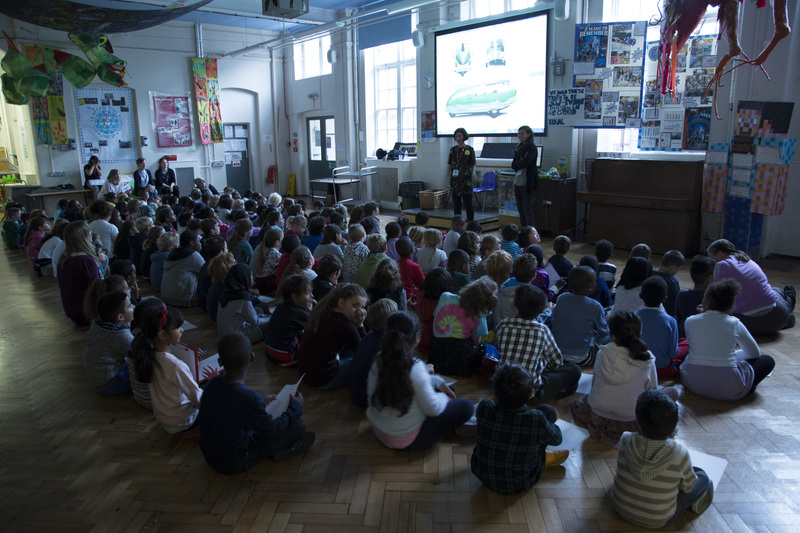 While we were able to start the project at St. Clements Danes with a workshop, we were also lucky in that we were able to also conclude it with a school wide assembly. In this closing assembly, watch the video below! we showed the work produced by the different classes, and even brought some of the classes together to demonstrate their work alongside their younger and older piers. For example, year six was asked to present a series of plays, which they had written to compliment a series of drawings of the future, which they had made, alongside drawings of the past and present, which other years had made. The theatre itself had been made by us, Little Architect, prior to the beginning of the project, and was left with the school as a present to further use. 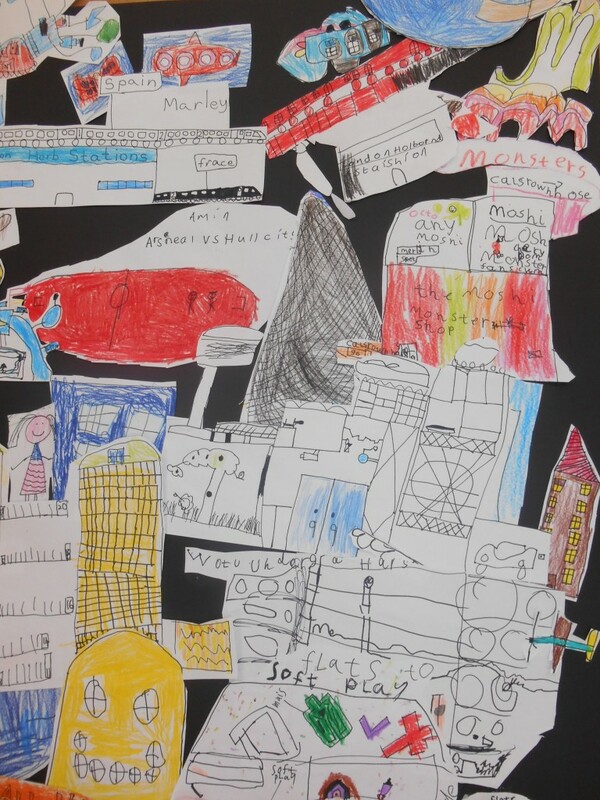 Similarly, the work of year five was brought together in a large collage, which we also presented in the assembly. 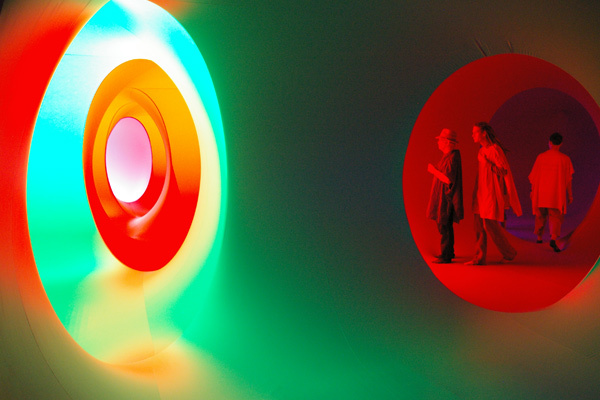 Again, we felt that this is an important aspect of creative design and thinking, as students to see a very large and, in our opinion very beautiful piece of work, which came from their own work, in a relatively short period of time. 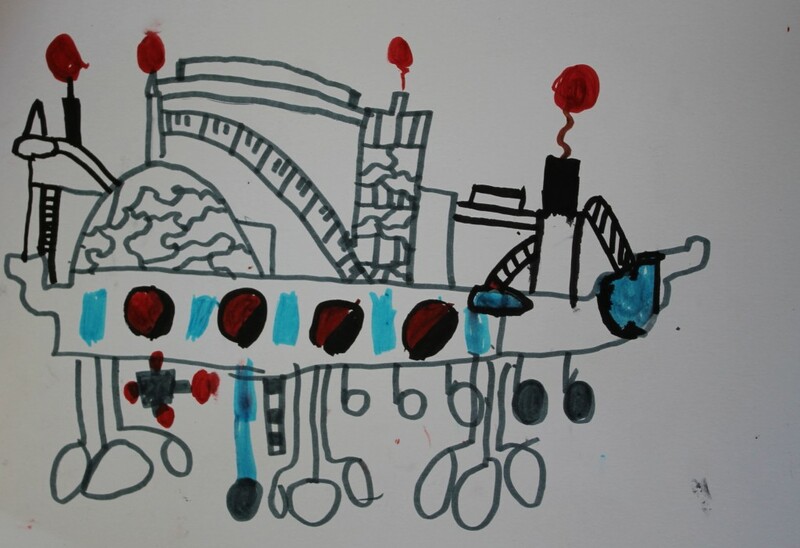 We concluded the assembly by asking what students felt they had learned about architecture and the city. The full potential of running such an extensive workshop really became apparent in this final assembly as students asked question and commented about not only their own work, but also the work of other years. It was a terrific experience! Thanks St Clements and specially CAPCO ( Capital and Counties) for funding all the lessons and the following exhibition at the Building Centre. An update about our work! What really matters is your feeback…We are looking forward to teaching in your school! 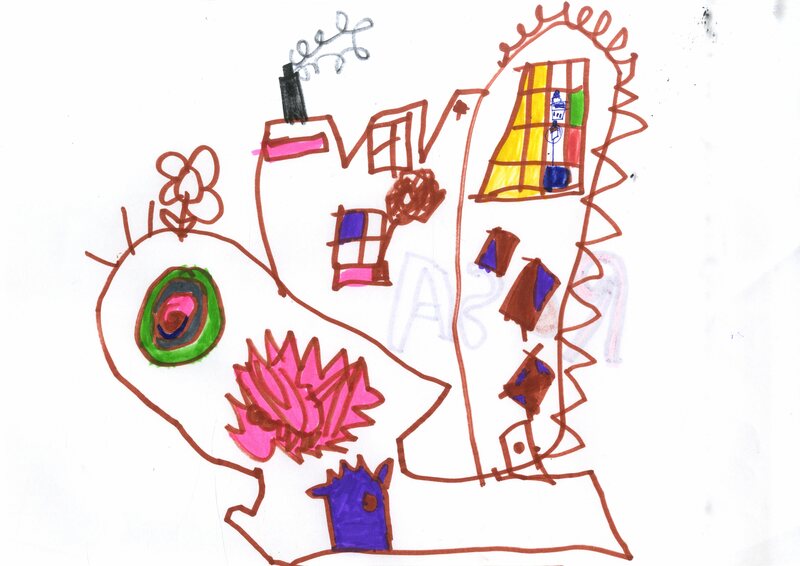 “The children were very motivated to draw their future local area buildings, and one boy who is usually off task got really stuck in, even bringing in another building he had drawn at home to show me!The children enjoyed looking at the photographs of buildings, as did I. 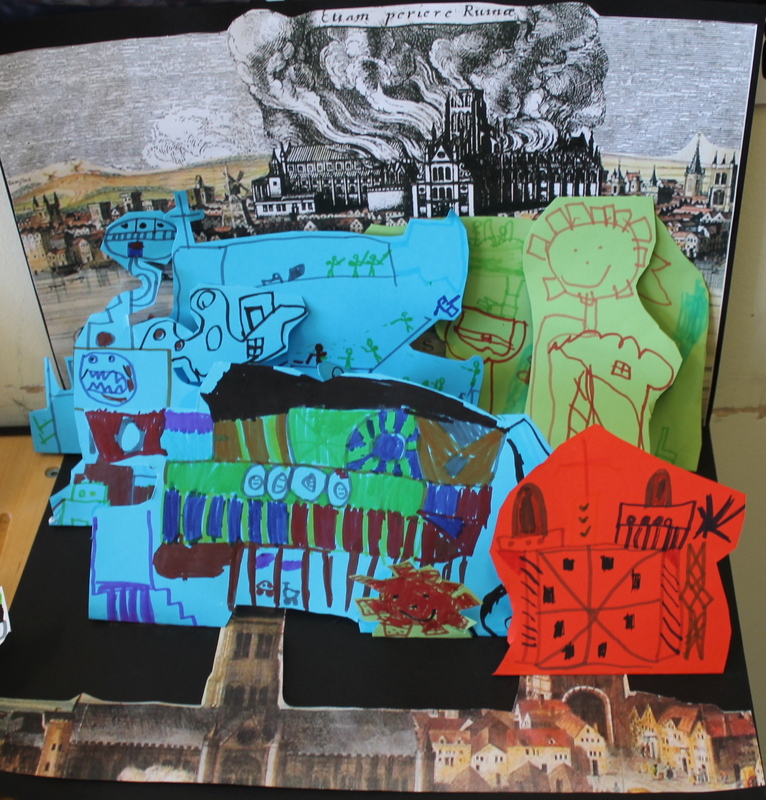 It definitely enhanced our understanding” Sophie Klimt, Year 2 teacher.Christopher Hatton Pr School, Camden. Know your local area. Observe its present and imagine the future of it. 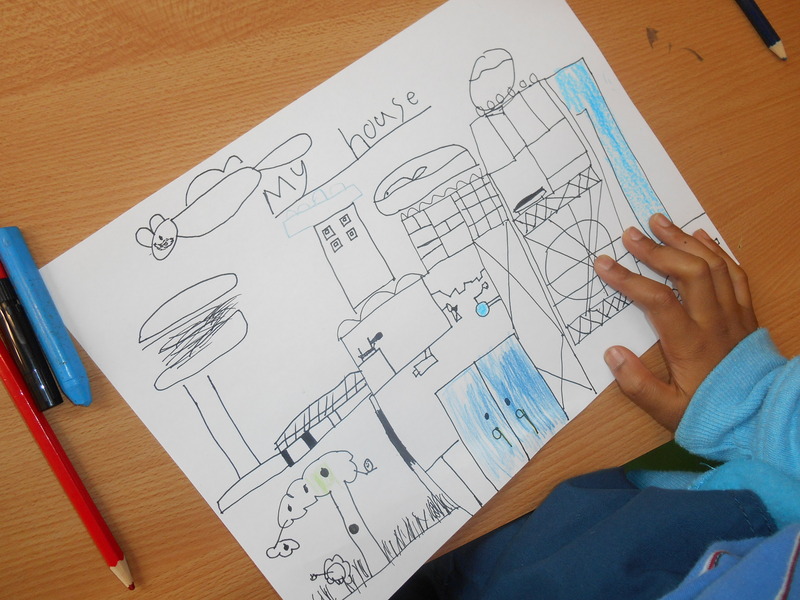 The main idea is empowering the children to have aspirations to improve and engage with their built environment. Fostering observation. Fostering creative thinking. 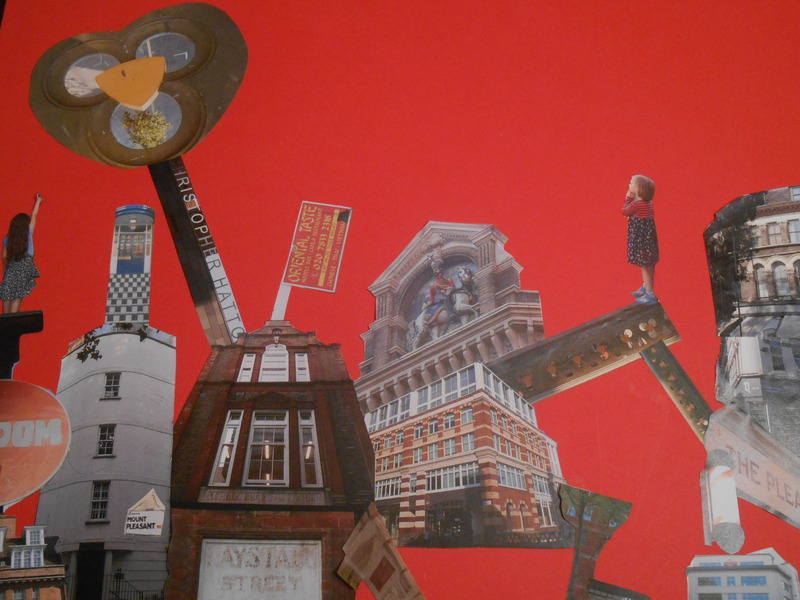 How: Drawing and collaging our local area in both the present and the future. Theoretical section: Children sitting on the carpet. To explain the concept of collaging we showed a halfway done collage of the present local area to be finished with the children in the classroom. 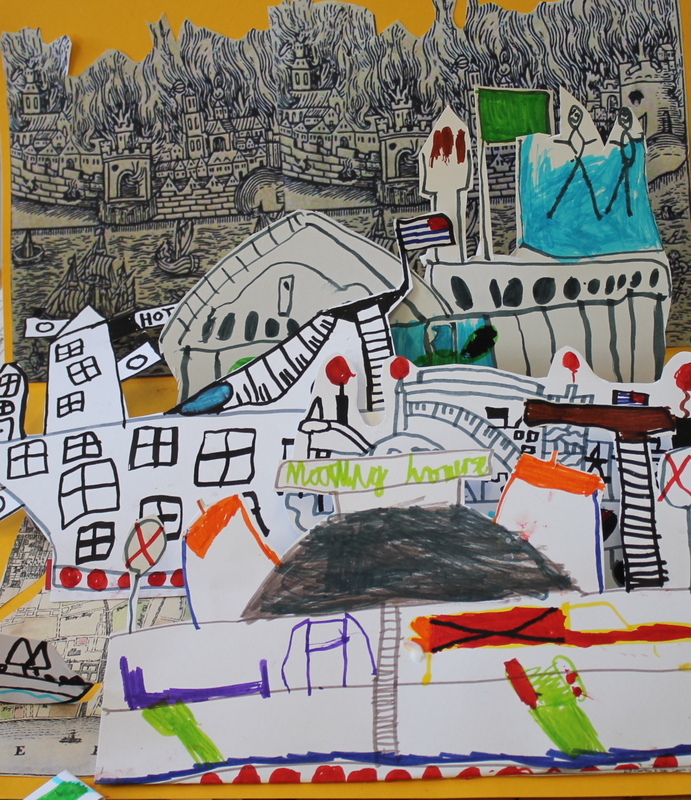 The collage was made with the assistance of the teacher Sophie Klimt in the previous days to the workshop, including, not only pictures of the immediate area, but also pictures of the students in the class itself. This particular addition brings the idea of belonging to a place. Students in KS1 gets very enthusiastic with the idea of themselves being part of the process and the outcome in a very obvious way. 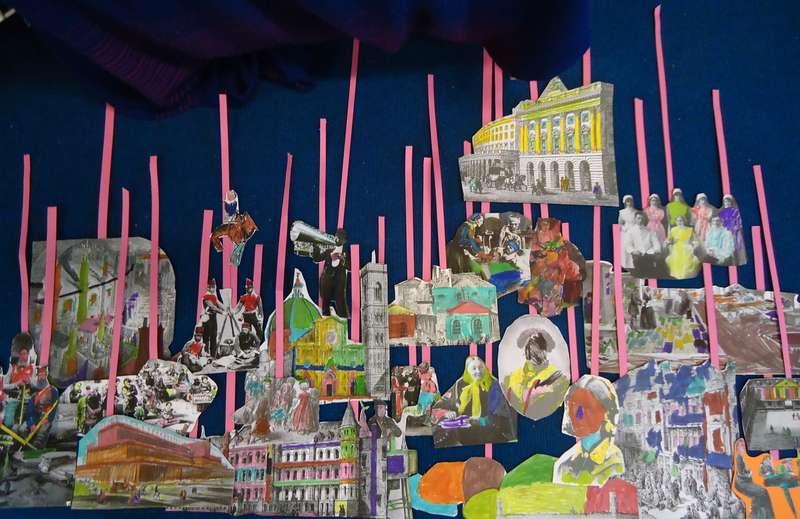 The idea is to teach that they are relevant figures to the present of the city. In the following part of the presentation we turned to discuss what we would like our future cities to look like. Firstly we played a game naming different types of buildings ie: offices, museums, houses, theatres…We presented several examples of contemporary buildings and introduced students to the importance of clean energy, encouraging the coexistence of other species with humans and buildings (urban ecosystems) we talked about the concept of urban farming, extensions etc. 4-Hands on section (individual activity, creative thinking): Each student was given on A4 paper and asked to draw a building that they would like to see in their future local area. It is important to us to encourage students to create fun, creative and colorful designs. We forbid rulers, and encourage students to draw freehand and be playful. During this time, we make sure to take some time with each student, to discuss what they are drawing, and to encourage them to be as creative as they like. We foster the hyphotetical thinking and the abstract thinking encouraging children to think of themselves in the future. Last section (team work activity): Once the drawings were finished, we then provided the class with two A1 sheets, on which students made a collage of their future local area. While the earlier tasks of drawing were individual and fostered individual creative skills, this last exercise was a group work, and students had to work together, to bring their individual drawings into a coherent and unified group collage – fostering teamwork, discussion and agreement between peers. 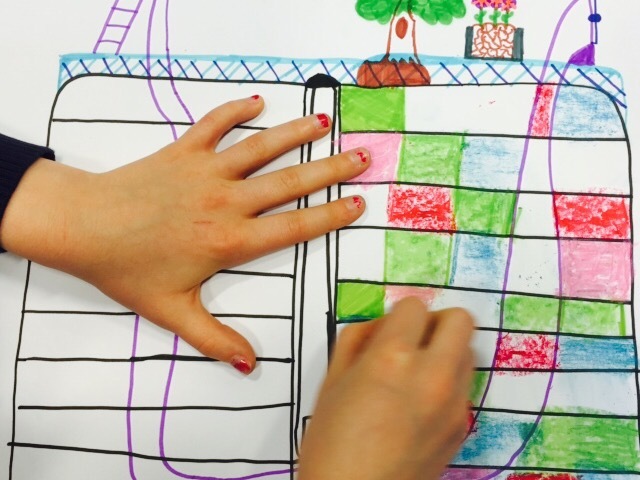 Session Summary: During the morning and afternoon of May the 12th, 2015, Little Architect taught three Year 2 Class at the Eaton House Primary School. Each of these classes included 30 minutes dedicated to a keynote presentation, and one hour dedicated to students drawing and presenting their work to one another. The presentation allowed us to engage in a relaxed conversation with our six years old students, while also giving them the opportunity to see and discuss concepts, which would not normally be introduced into their curriculum. Our presentation referred to the Great Fire of London, and our task, was to imagine a temporary city or camp in the case of a future fire. In order to create their own future projects, we gave them A1 cards in the shape of a folder where we had previously glued a landscape with engravings and maps from London in 1666. We asked them to imagine this future city in 2050; at around the time they will be 40. We felt that this would encourage the students to think of themselves as the citizens who will help create the future city! We made sure that each student had a chance to have a personal conversation with one or more of the Little Architect tutors. We also made sure to include both individual and group work and finally in everything that we did, we aimed to foster creative thinking. Their POP UP Cards are amazing! 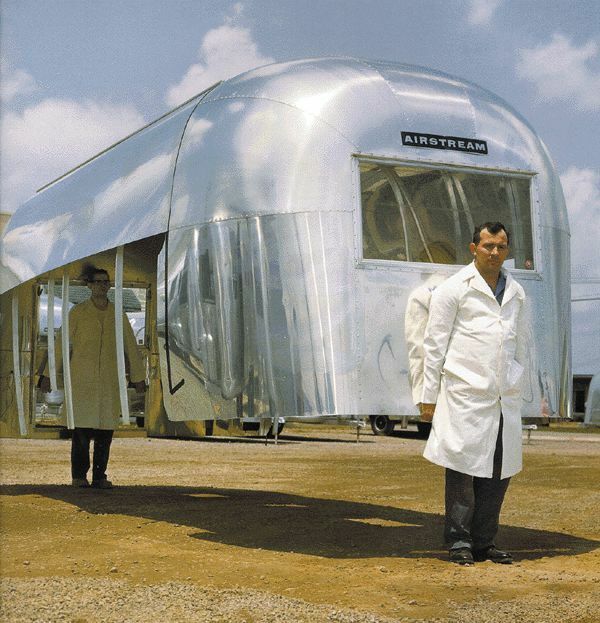 We gathered all kind of portable and temporary architecture. We loved all their designs and the way they put them together. Below you will find a more detailed summary of how this happened. 1-Historical links: We prepared some slides with carefully chosen engravings. 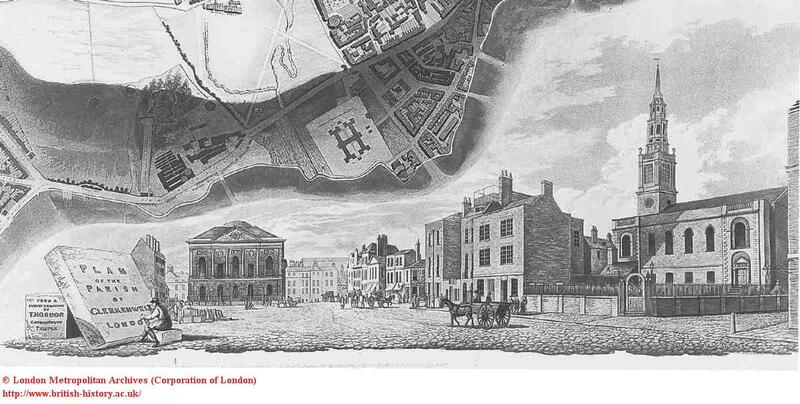 We showed them London during The Great Fire of 1666. We placed special emphasis on the changes that this catastrophe caused in the lives of ordinary Londoners, not only in its consequences of the built environment. We chose one particular engraving where the children could see “homeless” Londoners after The Great Fire. This is important to us as we aim get them thinking about architecture and its inhabitants at the same time. We also showed them a map dating from just after the fire showing the extent of the damage and in this way the students also learned about the scale of the fire. 2-Architectural links: In order to help them in imagining their future city we showed them examples of contemporary architecture and architecture post disaster, including some utopian projects of the 1960’s, such as Archigram’s “Walking City”. 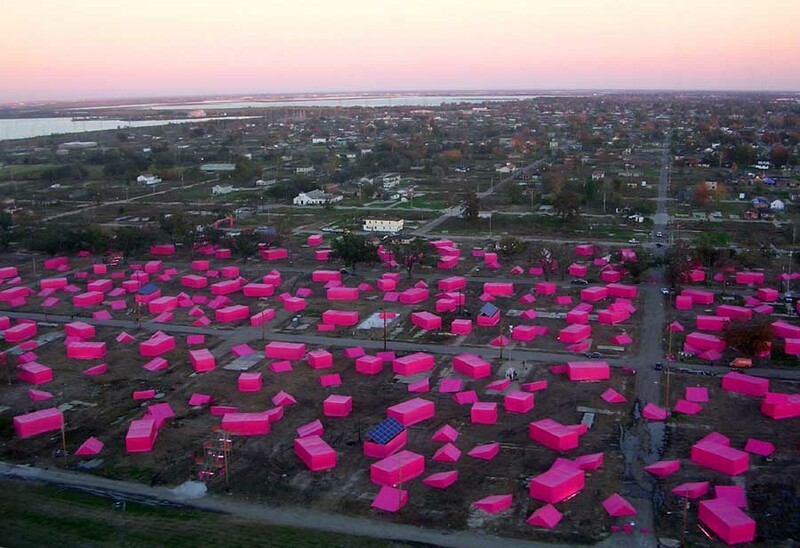 We also showed several examples of recent temporary camps in Syria and in the US after Katrina Hurricane. In all these examples we focused on temporary and mobile architecture. 3-Science links: After an earlier conversation with the class teacher, we decided to emphasize different materials in architecture: from plastic and inflatable structures to fabric and glass. They learned about prefabrication, portable structures, light metal, wood, etc. 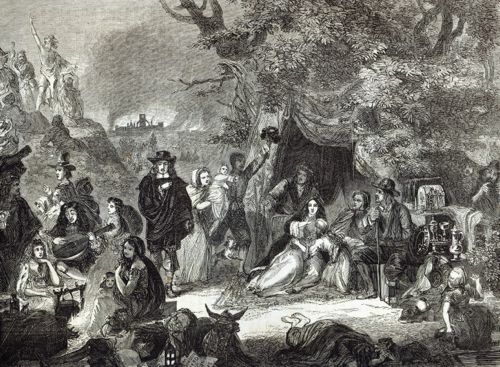 This was done in order to prepare them for the final phase of the activity: the design and drawing of their temporary camp for an imaginary fire in London again. 4-Engaging with children culture: In our presentations for KS1, we normally include some cartoons, to make links with movies that they are familiar with. 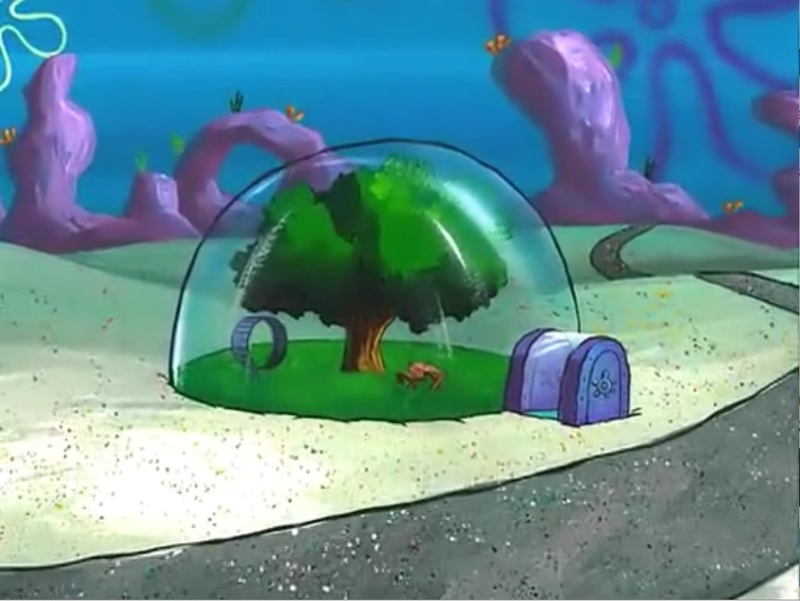 On this occasion we chose: Howl’s moving Castle and Sandy’s House from Sponge Bob Square pants. We showed them several examples of simple structures such as Igloos to Tipis, as a way to give them ideas of how they can design a temporary house. 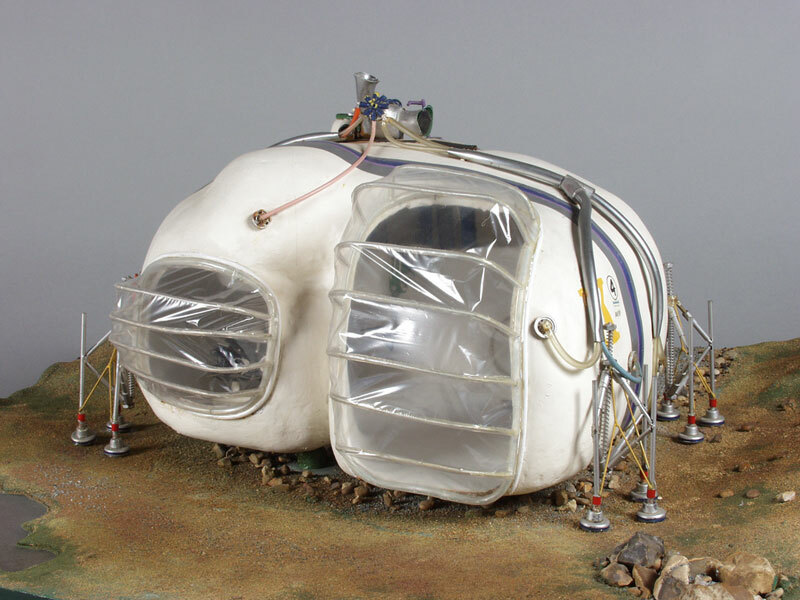 We also used several slides from David Jenkins new book for kids, “An Igloo on the moon.” Finally we showed Buckminster Fuller’s dome and Drop city, both of which were very popular. 5-Individual versus group. During the drawing and presentation segment, the children were divided in small groups of four. To begin with they worked individually, we encouraged them to discuss their ideas with one another debates and before they started their designs. Once they had finished their individual drawings, they cut out their designs. At this stage, we asked them to work in groups and they had to decide how to glue their designs on the card given. In this section of the workshop, conversation and decision-making is crucial as we foster agreements about the position that each drawing (building) should occupy. At that moment we say that we are mimicking what architects, politicians and other urban agents do in real life. We explain that the city is made out of agreements and lot of conversations between different professionals about its future. Is important when we point out real mechanisms of urban development to include children in the process and empower them in the decisions making. They have to know, that even being children they have the rights and the power to complain about or praise anything in their urban environment. 6-Creative thinking. Last but not least, in our conversations with the children, we foster creative thinking and we encourage utopian ideas. We don’t care about the feasibility of their proposals, or, for that matter, about size, material or, of course, the costs. They are free to design whatever proposal they want because we say that everything is possible, maybe not in the present, but it will be possible in the future when some of them (our pupils) would have developed the technology. The idea is to transmit very clearly that they will change and improve the city because they will be the professionals of tomorrow. 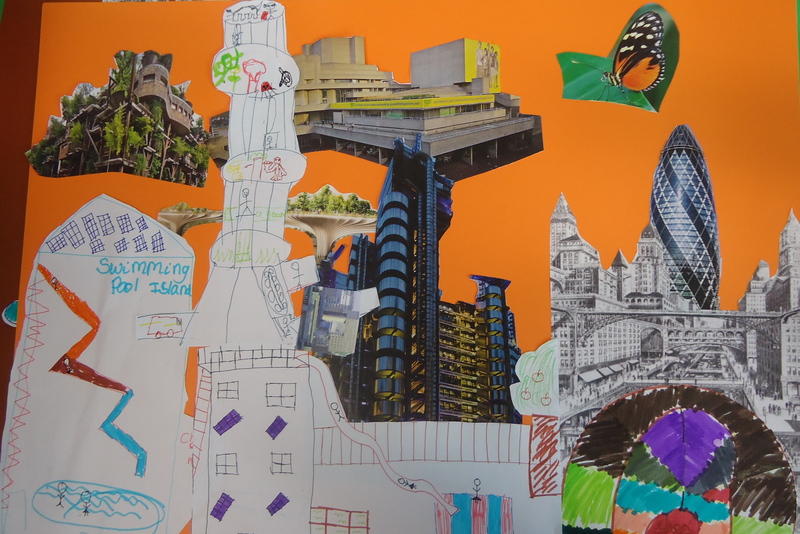 How are we teaching architecture in London´s primary schools? We would like to share with you our first video. 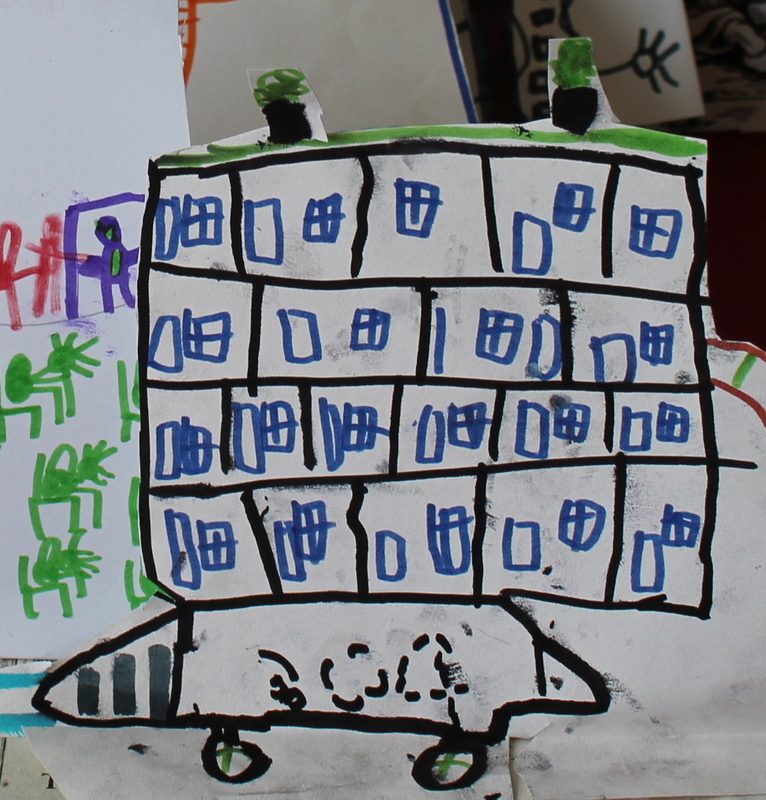 We have summarised here, how we teach architecture in London´s primary schools. We teach from Year 1 to Year 5, our students are VERY young! We feel extremely lucky having the opportunity to teach to these children. The future is theirs: They need to think about it. 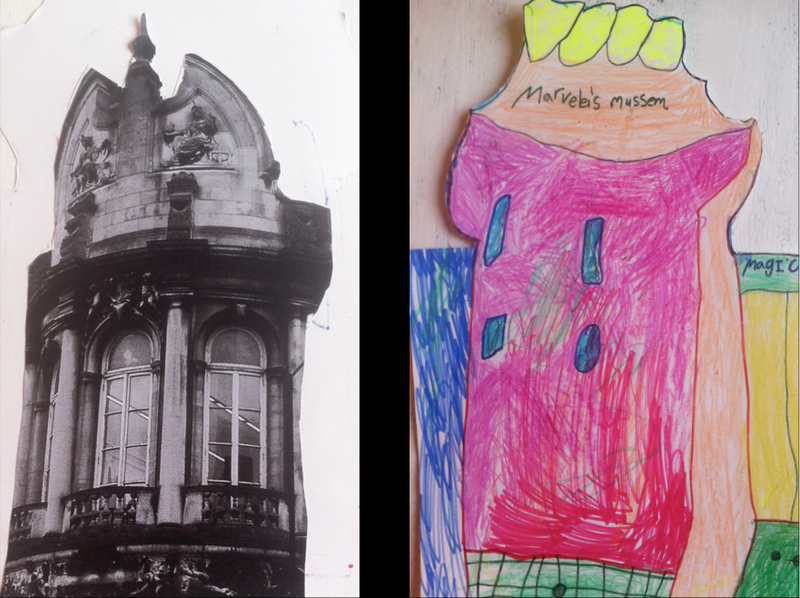 Teaching architecture to young children can be approached in many different ways, due to the richness of our discipline, so we have tried to choose and compile some inspirational theories to shape our programme. We could start with R. Buckminster Fuller´s planetarium concern, his opposition to specialization in education and his practical examples of children’s endless capacity to understand complex concepts. Colin Ward and his book “The Child in the City” inspires us to look for teaching resources in every corner of London, and Paul Goodman´s educational theories add a pinch of insurrection and sabotage. The life of Ruth Asawa, American artist and former student at The Black Mountain College, is an example to follow, as she transformed and improved the whole school curriculum of what today is called the San Francisco School of the Arts (SOTA) in San Francisco. Meanwhile, Sir Ken Robinson and Martin Seligman´s books encourage us to create enthusiastic and positive lectures so we talk about hidden monsters and magnificent treasures in windows, roofs or doors in every presentation, since fostering curiosity and observation is key for us. “The Eyes of the Skin”, J. Pallasma’s already classic book, leads us to talk not only about observing architecture but also about feeling architecture. We look for textures, we tell children to touch everything (sorry parents!) – facades, stairs, floors, grass – to smell every material, and even listen to buildings, for there are many times unnoted sounds in architecture are amazing discoveries for children. 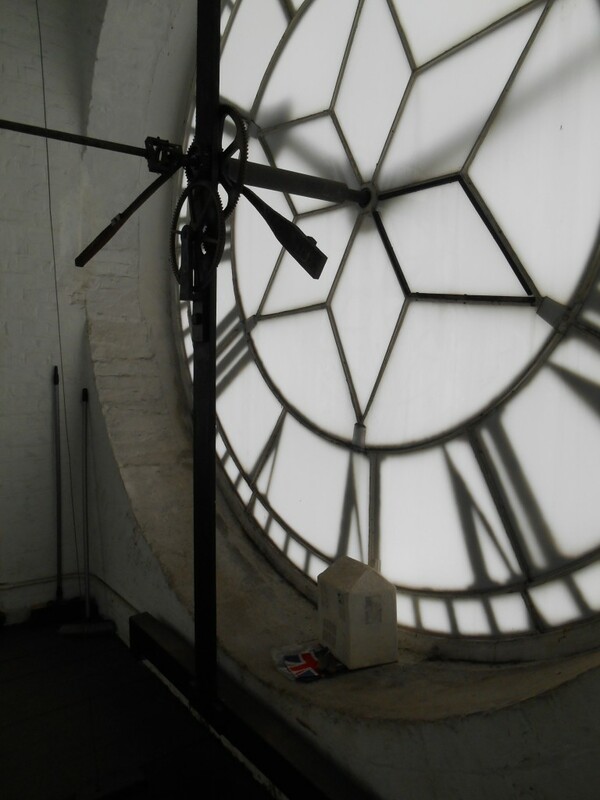 Having an imaginary walk with Florence Nightingale to show her: London in 2015! A long list of architects and artists with utopian proposals and a deep concern about the public realm provide core material for our presentations: Yona Friedman, Peter Cook, Haus Rucker Co, CJ Lim, Lucien Kroll, Archigram, Lina Bo Bardi, Richard Rogers and Gego, Oiticica, Leon Ferrari, Antony Gormley, to give some examples. We try to accommodate in our sessions different ways to engage with architecture, following Howard Gardner´s multiple intelligences theory. We encourage drawing and lots of conversation; sometimes we nearly run out of time for finishing the class exercise, as children’s commentaries can be so sharp and interesting. I still remember last year’s debate about MRDV “Rooftop Village” in Rotterdam: Thumbs up or Thumbs down for the blue house. It was only after a long and heated debate that those who liked the blue house won. London Town Hall ( stair case) more beautiful than ever. 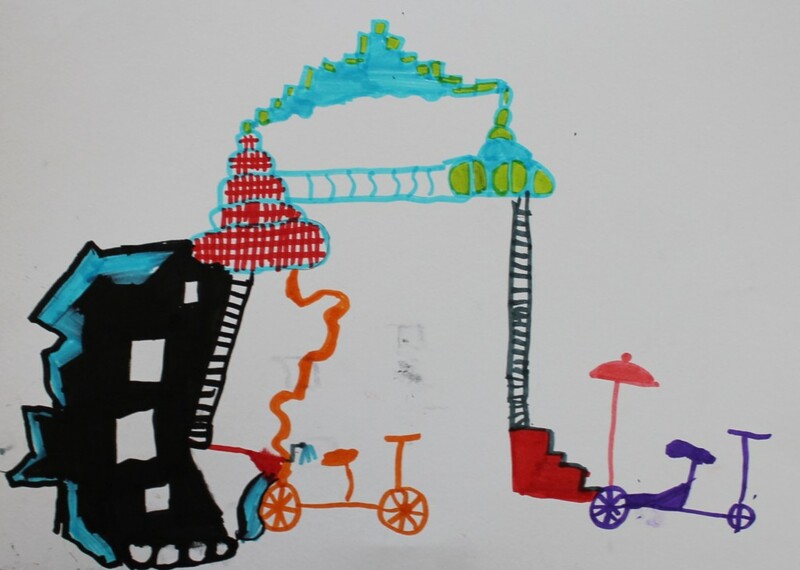 After sowing the idea that architecture can be much more interesting and playful that they thought, we mainly want to let children express themselves in their favourite way. 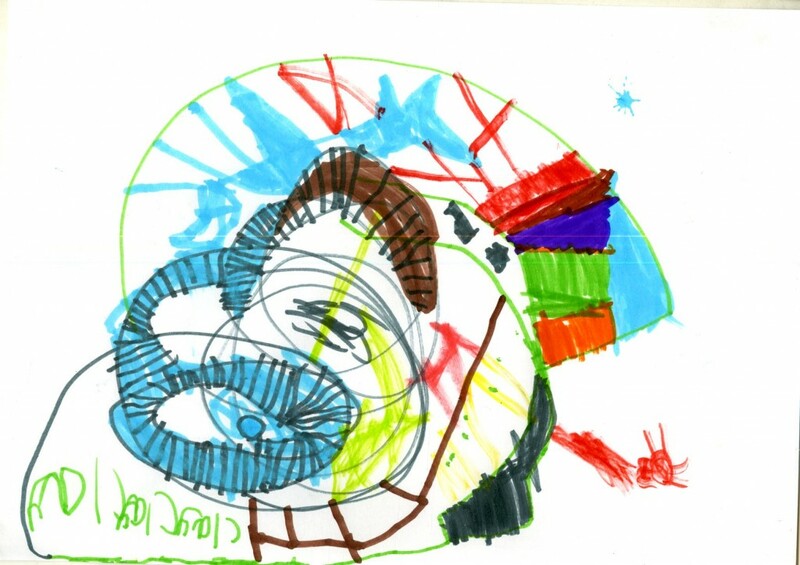 We set up a creative environment and drawings are taken as communication tools. As children learn about the evolution of cities from past to present, about fauna and flora, transport and clean energy, the urban ecosystem is revealed. They have a moment to think and meditate: What do I want to draw, what am I designing? What do I want for my future house, city, local area or school? We teach them to think about their future; they are the decision makers, they are the main characters in the play. The process, in this case, is much more important than the result. 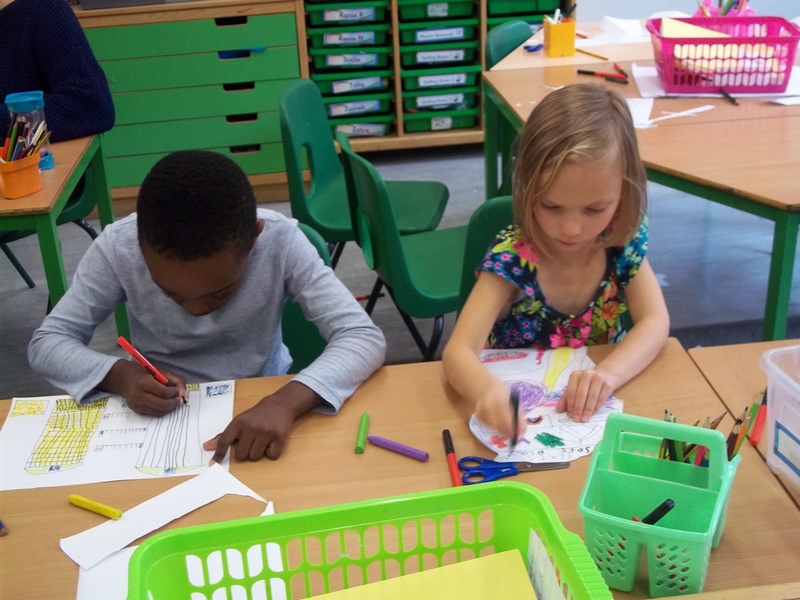 We want them to learn that they can do the same activity while they are sitting at home, travelling by bus or waiting for food in a restaurant: They can observe, draw, comment and imagine their future city inside and outside our lessons. A future block of flats. No boundaries, pure creativity. 5 y.old girl- We love it! Our aim is definitely not to indoctrinate children to become architects. Rather, we want children to be much more active in urban processes. 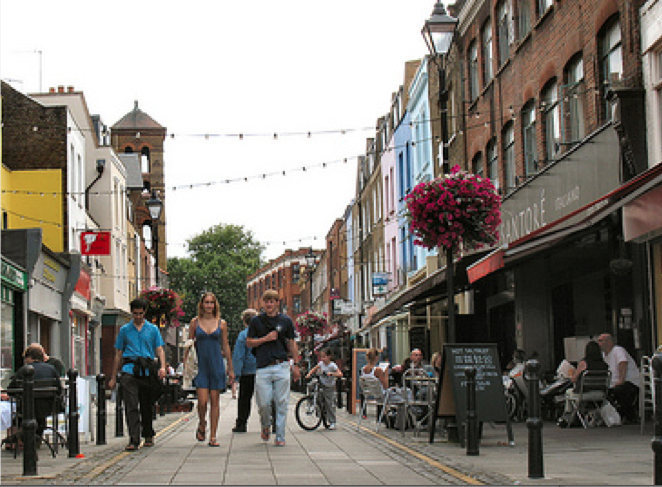 We want to trigger a new relationship with their local surroundings, in which they are caring for, but also enjoying and being critical of the cities we all inhabit. That is our main task – to teach them that the future is theirs. 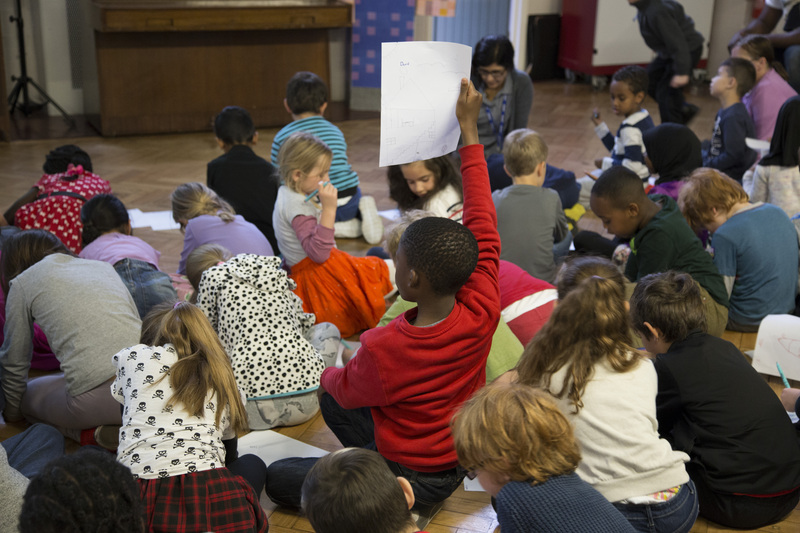 Little Architect, the new AA Visiting School Programme, is preparing lessons for the next school year and contacting primary schools in and out of London. During July, our aim is to summarize and explain to you, the objectives that we achieve during our in-school lessons. 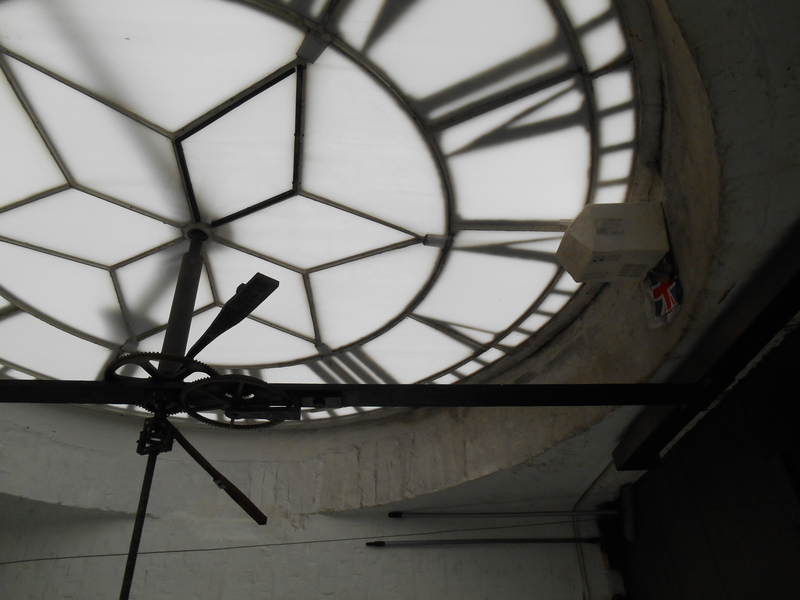 Stephanie Taylor, a year four teacher, from Hugh Myddelton School penned a review after the completion of our project. It was developed during Geography lessons and the topic was “Your local area”. “The involvement was over 3 sessions with two Year 4 classes with children with a range of abilities, including a child with significant visual impairment. Our first session was a visit around the local area following a short introduction about features of buildings, encouraging the children to look for the details. Lola (Dolores Victoria Ruiz Garrido, the programme director) was fantastic in leading this activity, challenging children to find interesting motifs in a familiar environment. Having the sessions firmly rooted in the area the children are familiar with was very effective. The children enjoyed this greatly and were activly engaged and excited to find new and different perspectives on their environment. 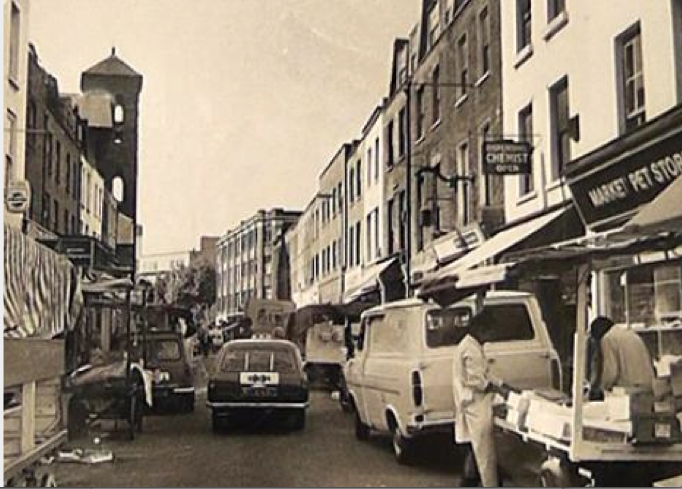 The second session took the information and images gathered on our local area walk, and then older images were incorporated in an accessible visual format to identify changes in the local area and why the buildings have changed. Giving the children a broader perspective on their area, and an understanding that our world is not static. 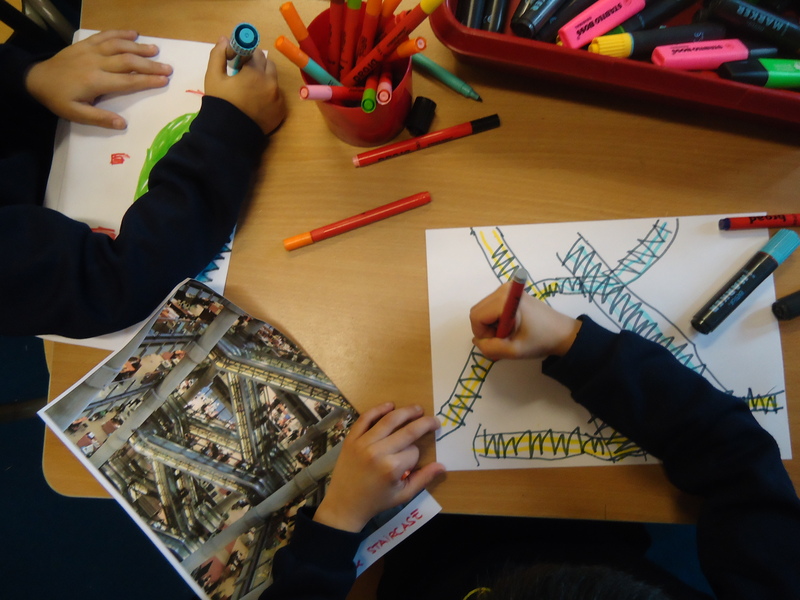 The children were then encouraged to think of what they would change if they could. There was plenty of opportunities for the children to develop their understanding both by discussion with their peers and with the expert input from the “Little Architect” tutor. The third session built further on this idea of change and the Little Architect presentation shared images and information on a range of real, and concept buildings which really engaged the children’s creativity. The ideas of sustainability and the use of renewable energy were very clear and the children took these ideas and utilised the inspiration from Lola to design creative and ‘green’ buildings that could shape their local area in the future. The three sessions worked well as a progressive theme and the children were fully engaged and inspired. Their creations were far more complex and thoughtful than I anticipated and this is due in the main to the inspirational images and knowledge that Little Architect built up over the sessions. 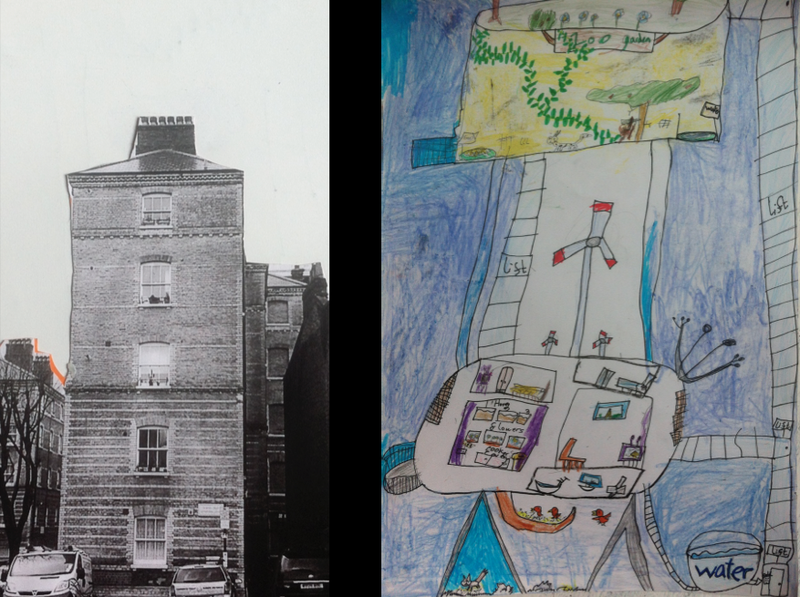 This work has helped the children to become more aware of the environmental impact of architecture and possibly even begun to shape the future. The children are much more proactive with regards to recycling and energy consumption. Another important thing, is that the children were able to see and experience a different perspective on their area and hopefully begin to have ambitions for the future that are more varied than before. The children and I are very thankful that we were involved in the project and we are justifiably proud of the designs that were created, this would not have been possible without “Little Architect”. I hope that many other children get to experience this project, it was fantastic. It was our pleasure to work in Hugh Myddelton School and its creative students!